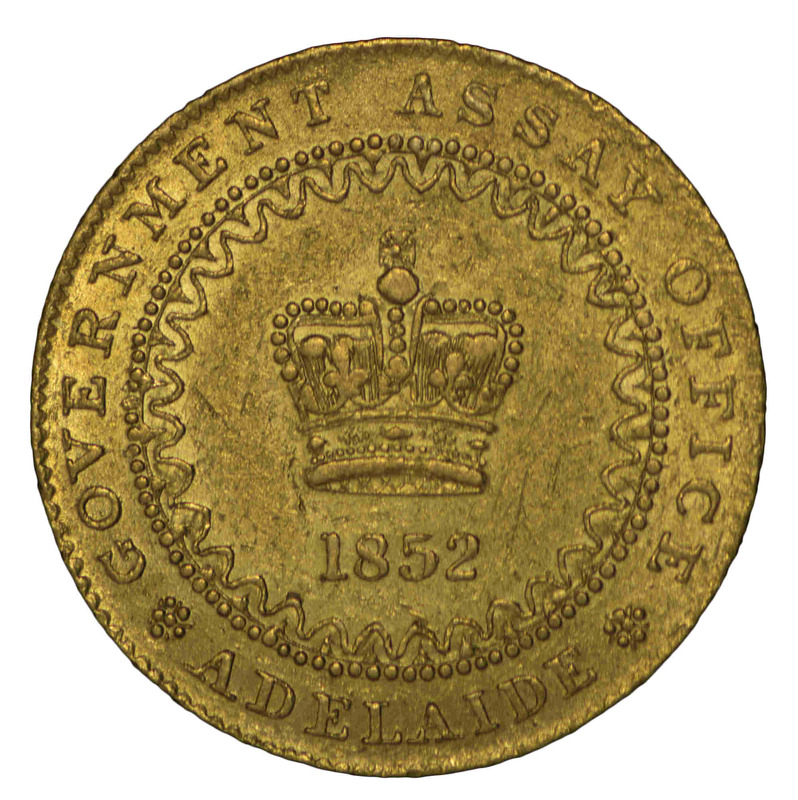 1852 Adelaide Pound Type 1 with Die crack and beaded inner circle on reverse, almost EF. 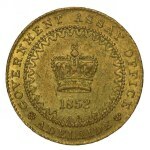 An attractive, well struck specimen, with wide die crack from a later state of the deteriorating die, and course milled edge. Some mint lustre. 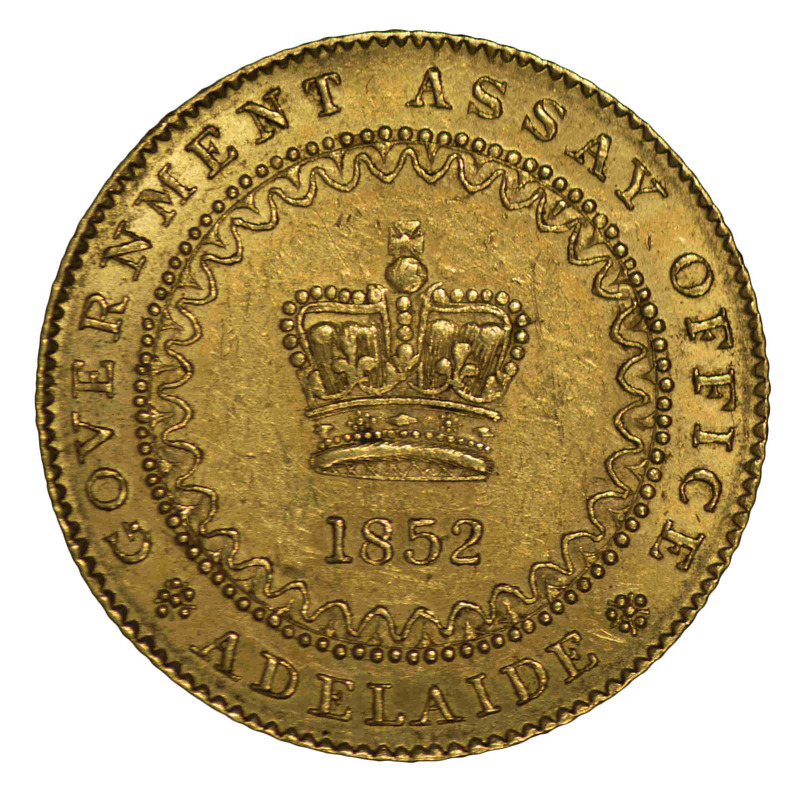 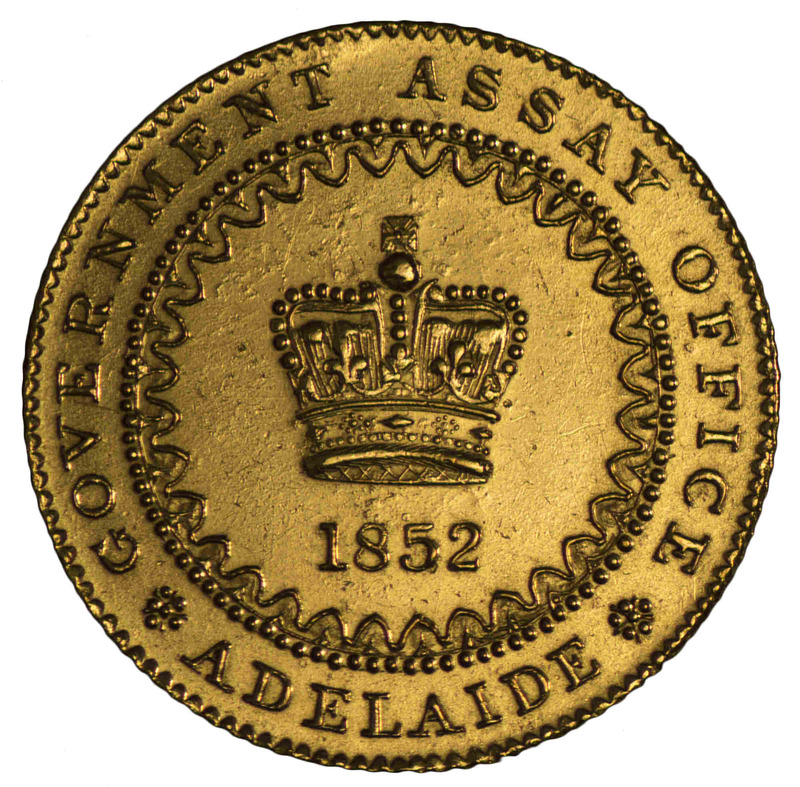 Only approximately 50 examples are known of this key Australian coin, being the first gold coin minted in Australia. 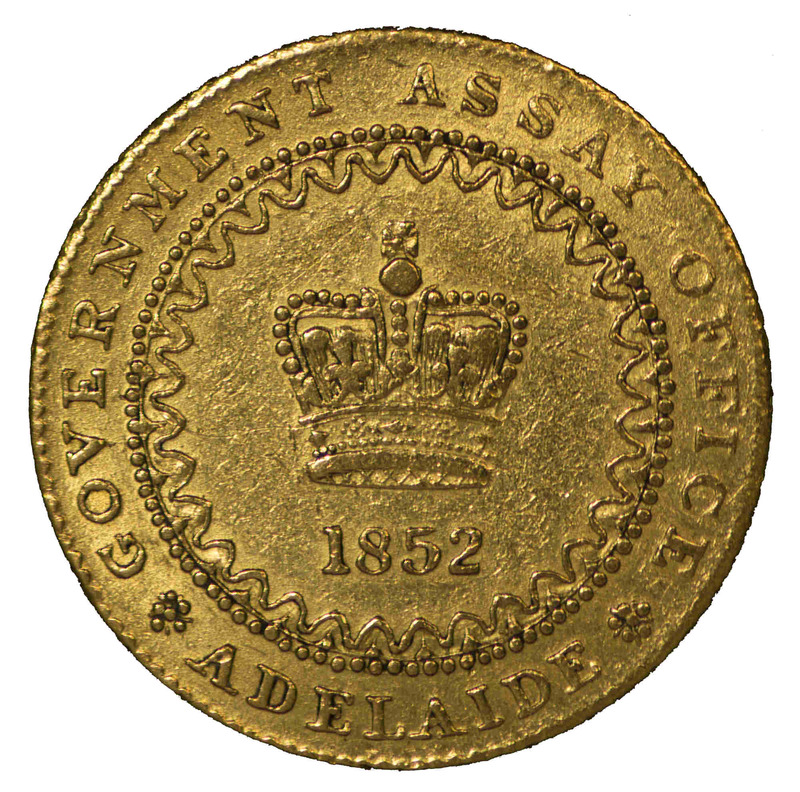 1852 Adelaide Pound Type 2 struck from an early state of the die aUnc. 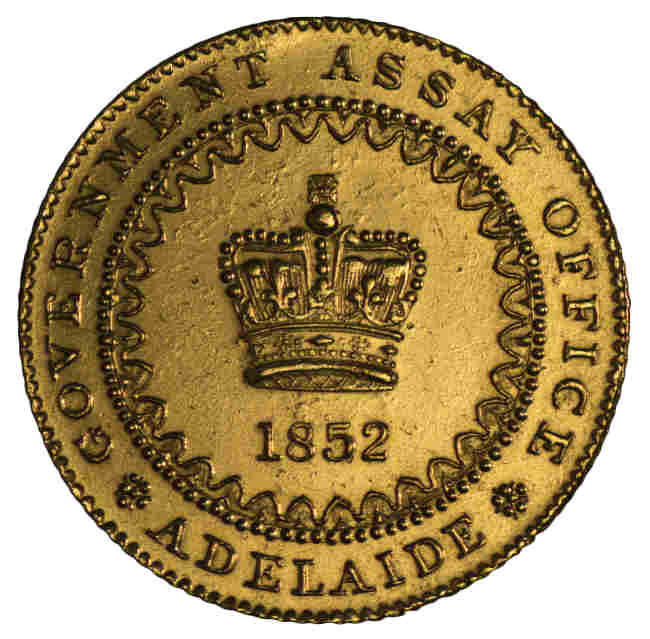 Exceptionally well struck, with full mint bloom and good lustre. 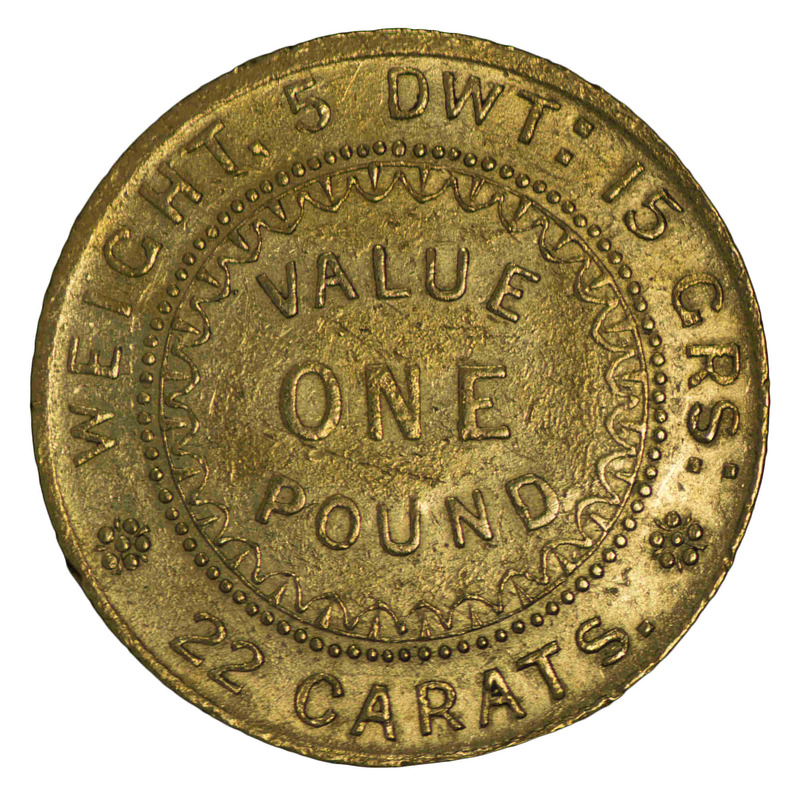 Only a couple of small bag marks and a barely visible fine hairline on the reverse, prevent this coin being graded choice Unc. 1852 Adelaide Pound Type 2 good VF, with 5 notches above 22 Carat, as is characteristic of coins struck from later states of the die. A nice coin with an attractive lustre, reasonably well struck, for a coin minted from the later states of the die. 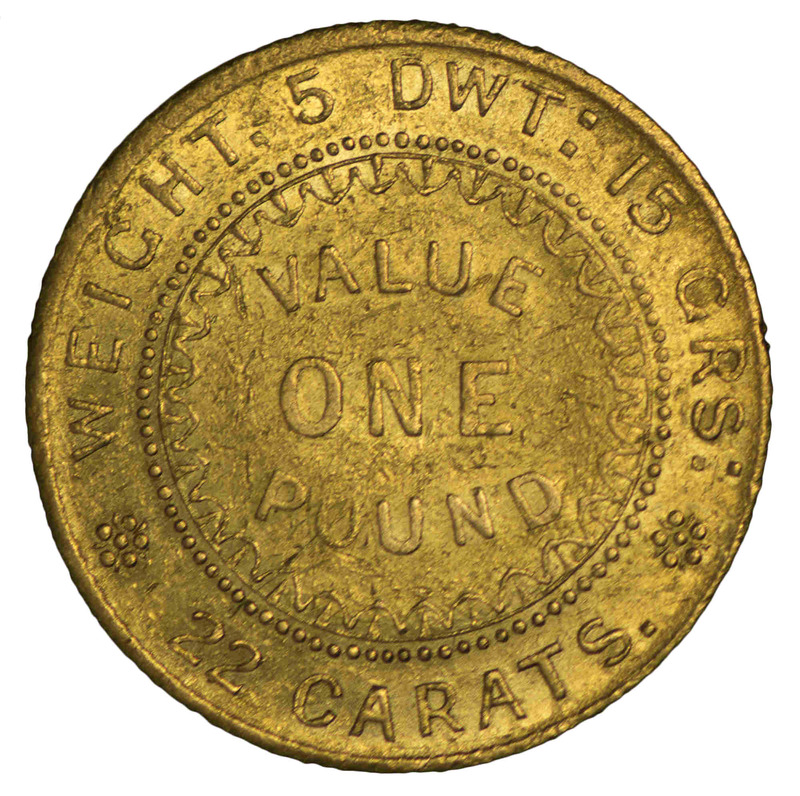 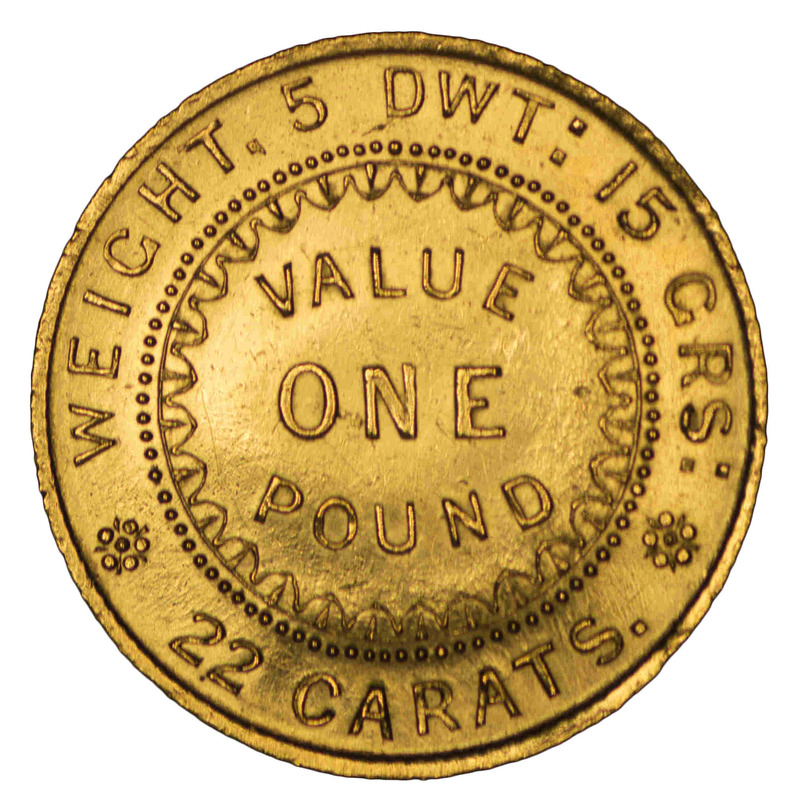 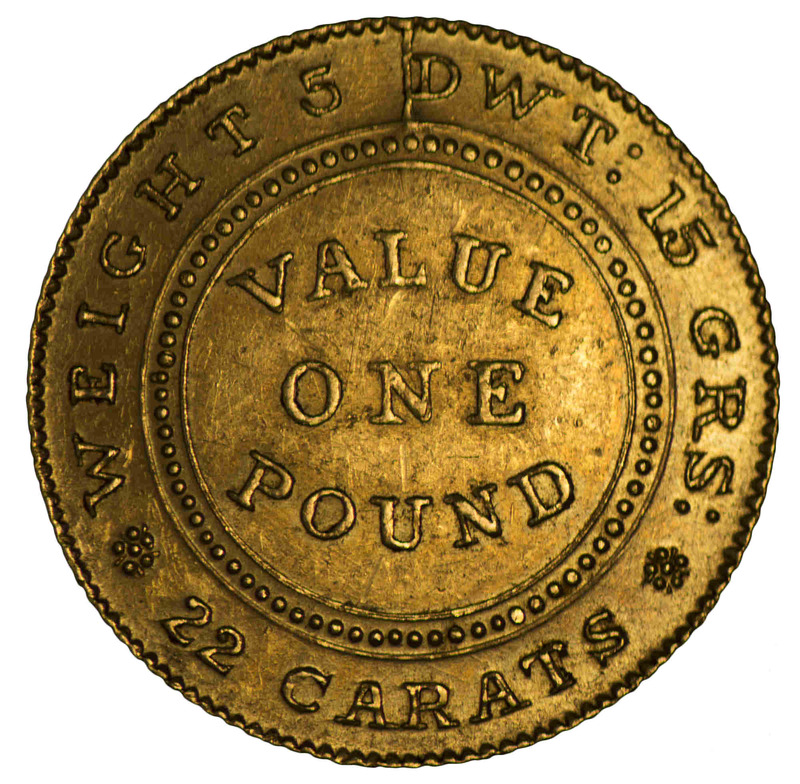 1852 Adelaide Pound Type 2 VF, with 5 notches above 22 Carat, as is characteristic of coins struck from later states of the die. 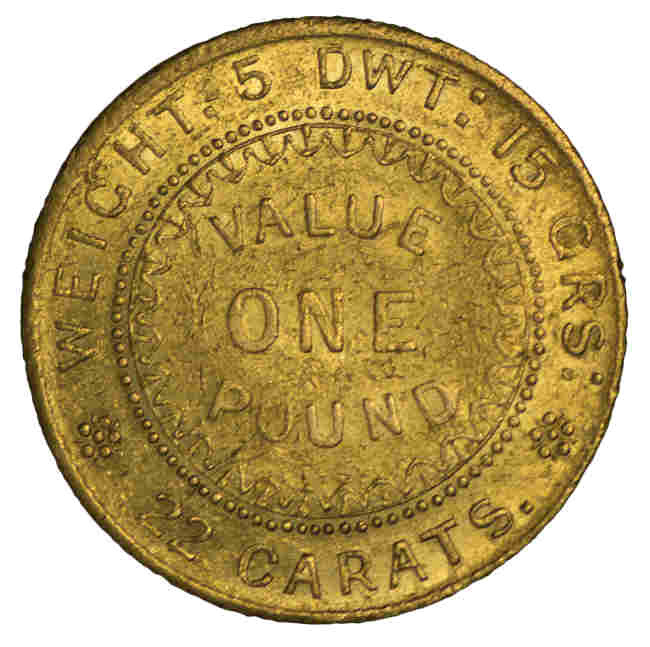 Some weakness in strike, mainly affecting the reverse, but still an attractive example of this key coin.